The name describes it perfectly: Mobilaria are birds which you collect and hang in a mobile; it just takes a small breeze for them to fly around happily. Mobilaria are made in such a way that they match the seasons and festivities, such as the birth of a child, valentine’s day or a birthday. The mobilars can be hung in a wooden mobile which is called a "mobilar". In the Mobilar, the matching mobile, there is room for 7 birds. Its lots of fun to make all 7 birds and to fill the mobile. 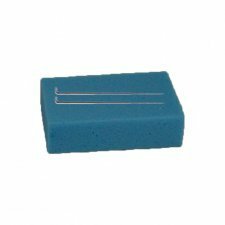 Until now punch pads were made out of polyurethane using a chemical production process. Our producer developed a new production process which excluded the needed chemicals in using a vacuum technique instead. 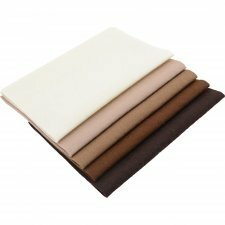 The second item they have improved is using a raw material with a partly biological origin. The structure of the cells look a bit coarser, but we have tested the material and are very happy with using it. 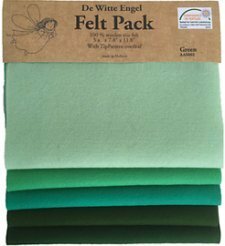 100% pure natural wool felt. 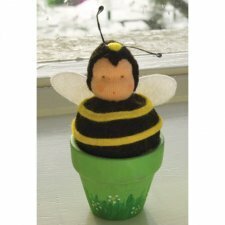 The Dolls in the Vase are small detailed dolls made of felt. They are on average easy to do, suitable for those with minimal experience. 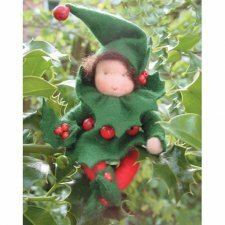 Felted dolls are often used to create a corner in the house where the seasons are depicted, such as in nature, or as a pretty gift idea. 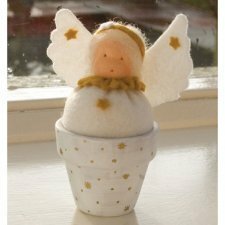 The kit includes: 100% pure wool, elements in 100% pure wool felt, threads, fabric for the face, terracotta pot, etc. Dimensions: approx. 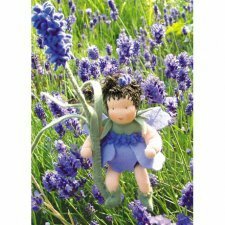 9 cm high - Made in Holland - Certified ökotex standard 100 cotton felt, safe dyes for use in children's toys. 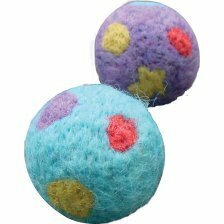 Kit for 2 Bouncing Balls made of felt. Easy to make. Dimensions: approx. 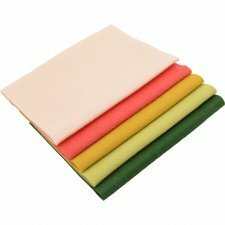 4,5 cm diameter - Made in Holland - Certified ökotex standard 100 cotton felt, safe dyes for use in children's toys. Needed: pag for wool punching, sold separately. 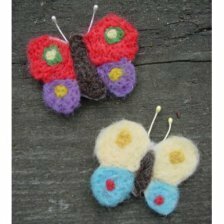 Kit for 2 Butterfly pins made of felt. Easy to make. Dimensions: approx. 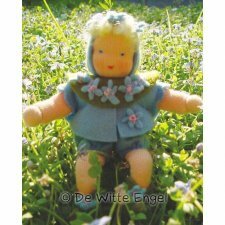 5,5 cm high - Made in Holland - Certified ökotex standard 100 cotton felt, safe dyes for use in children's toys. 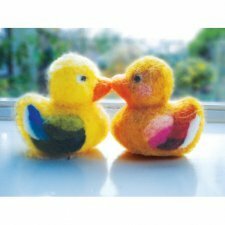 Kit for 2 Ducks made of felt. Easy to make. Dimensions: approx. 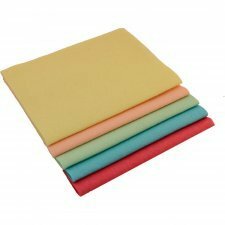 8 cm high - Made in Holland - Certified ökotex standard 100 cotton felt, safe dyes for use in children's toys. 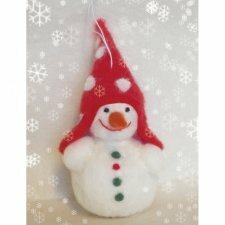 Kit for 1 Snow Man made of felt. Easy to make. Dimensions: approx. 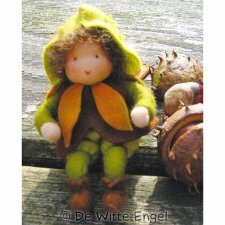 17 cm high - Made in Holland - Certified ökotex standard 100 cotton felt, safe dyes for use in children's toys. 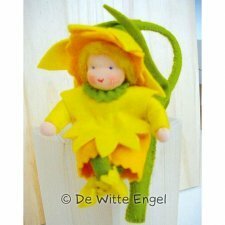 Flower children are small detailed mini dolls (around 12 cm tall) made from felt. 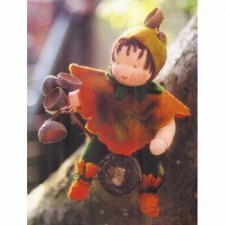 They are suitable for advanced doll makers and handiworkers. Flower children on the season table: Every season table becomes much more valuable when, following the root children, flower children appear which match the season, just like in nature. 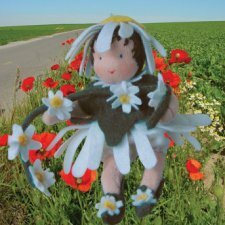 Naturally, you can enlarge the flower children into decorative dolls, which you then add to a lovely bouquet to evoke the atmosphere of the season. 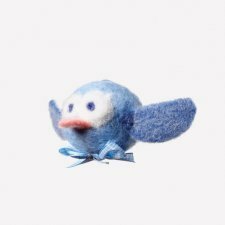 Mobilaria: this name describes it perfectly, Mobilaria are wool birds, which you collect and hang in a mobile; it just takes a small breeze for them to fly around happily. Mobilaria are made in such a way that they match the seasons and festivities, such as the birth of a child, valentine’s day or a birthday. 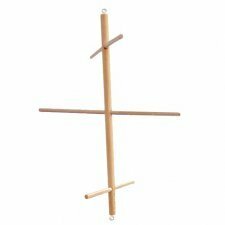 The mobilars can be hung in a wooden mobile which is called a "mobilar". In the Mobilar, the matching mobile, there is room for 7 birds. Its lots of fun to make all 7 birds and to fill the mobile.